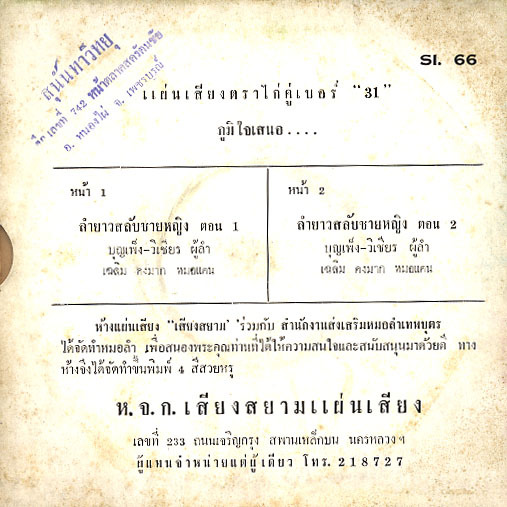 Here’s another old style khaen piece, but this time with the molams (singers) Bunpheng Phaiphiwchai and Wichian. 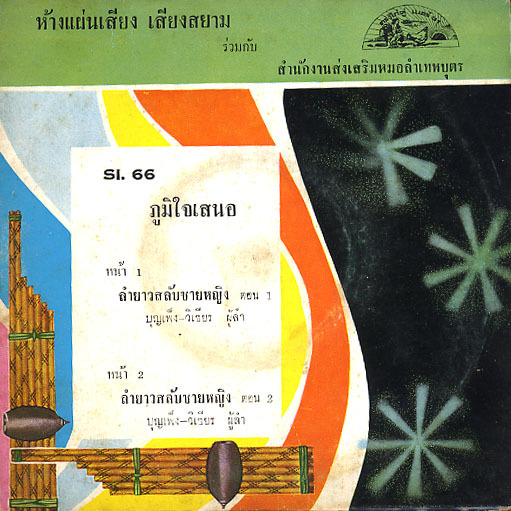 There are many different regional types of lam (songs) in northeast Thailand (Isan) and Laos, some based on traditional, poetry, Jataka stories (Buddha birth stories from India) and courtship songs. Courtship songs often include racy repartee between male and female singers. Here’s another great 45 rpm 7 inch record. Been loving these Thai selections. Thanks.